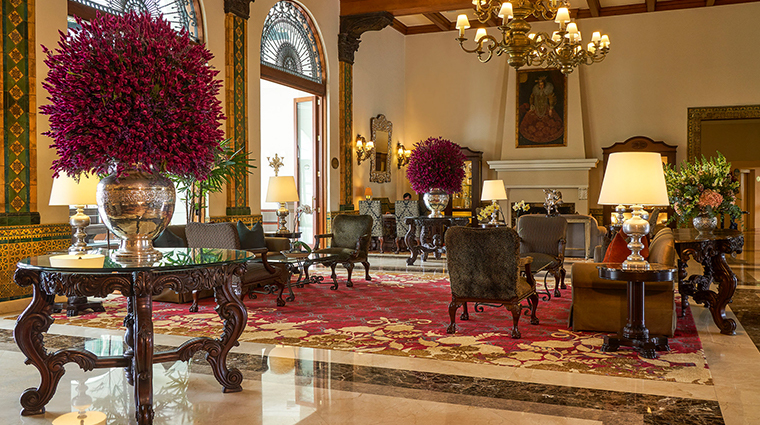 When you step into the lobby of Country Club Lima Hotel, you're transported back in time to an era of opulence and grandeur with its hand-painted Spanish tiles and brass chandeliers. The old-world charm continues throughout the hotel. 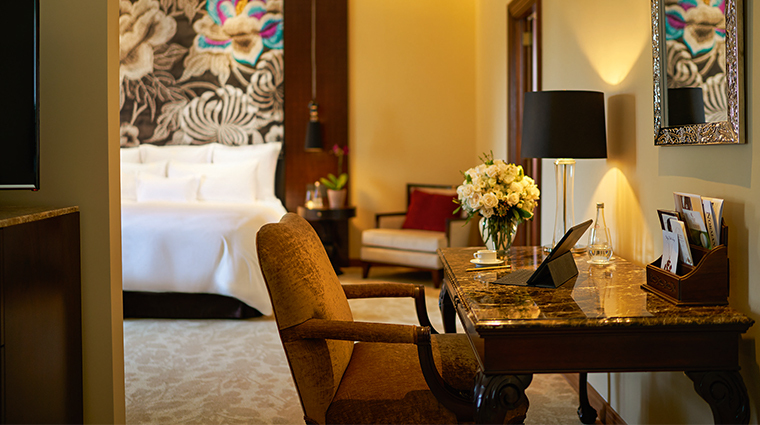 Rooms are spacious with high ceilings and elegant dark wooden furniture. Many come with balconies or private terraces overlooking the garden courtyard or the vast green space of Lima Golf Club next door. 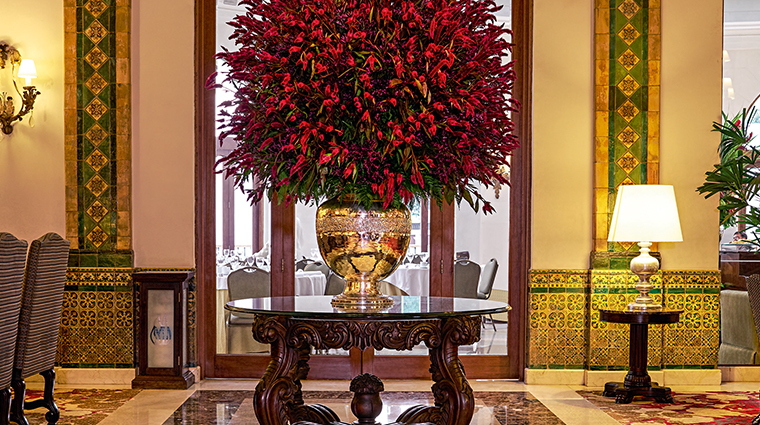 This top Lima hotel prides itself on its impeccable service record, with attentive English-speaking staff and VIP services for Presidential Suite guests. Popular with business travelers, the hotel offers a full range of conference and meeting facilities, and can cater to large events with flexible meeting spaces, breakout rooms and a well-equipped business center. To relax, head to the hotel spa for a range of indulgent treatments, a gym and an outdoor plunge pool surrounded by palm trees. Enjoy a decadent afternoon tea in the Los Vitrales lobby bar. As you sip tea with the sound of the grand piano in the background, you'll feel like you're on the set of a period drama. Wander through the corridors and you'll come across 16th-century artwork on loan from the Pedro de Osma Museum, including gilded mirrors, oil paintings and pieces of furniture. The collection includes more than 400 original works. Treat yourself to lots of bubbles — the bathing and sipping kinds — in the lavish marble bathrooms. It's the perfect way to unwind at the end of a day of meetings or golf. If you're a golfer, you won't be disappointed. 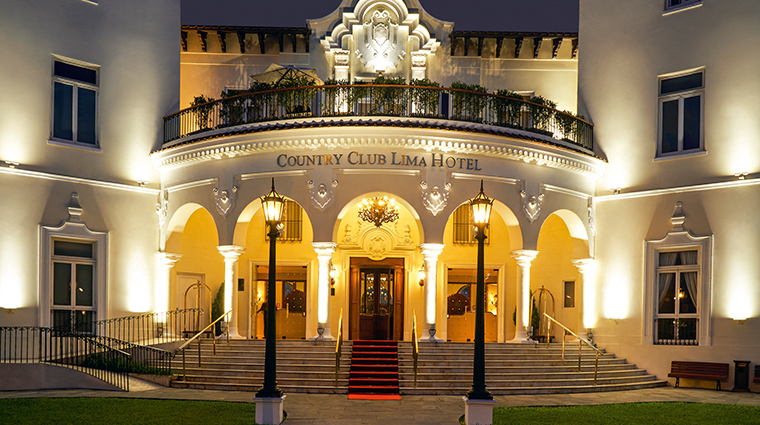 Country Club Lima Hotel is right next door to the members-only Lima Golf Club. The 18-hole, 72-par course is set in one of the biggest green spaces in the city, and the hotel has an exclusive arrangement for guests to gain access for a modest green fee. 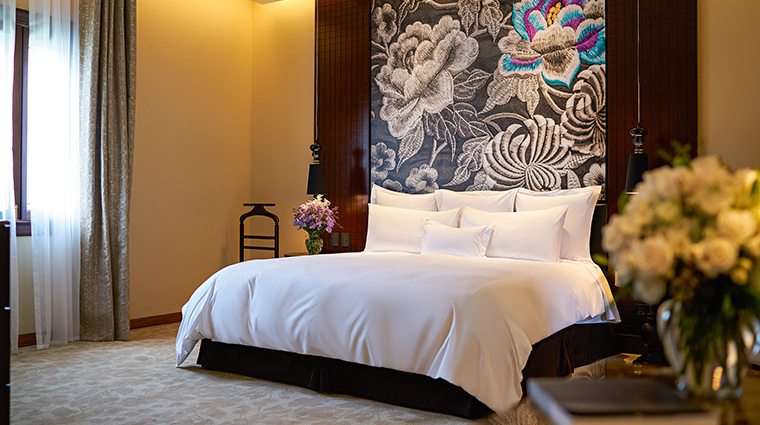 All 83 rooms and suites at the luxury Lima hotel recently underwent a complete refresh. The result is a sumptuous selection of contemporary accommodations outfitted in warm tones, stylish textiles, soft linens and marble finishes. 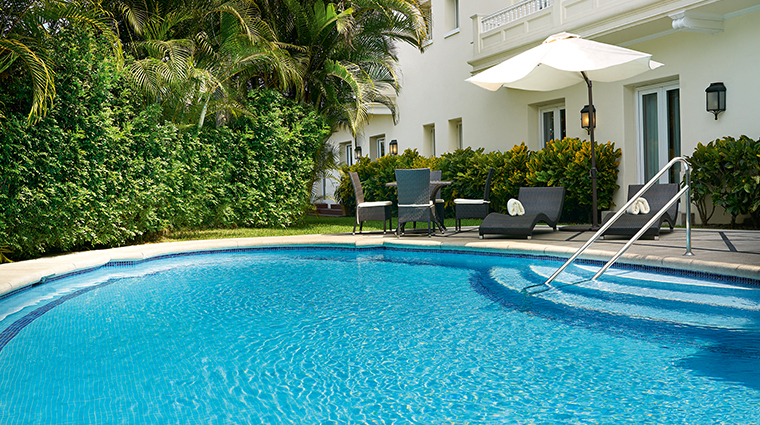 The luxury hotel is conveniently located in San Isidro, a prestigious residential area and commercial hub, so whether your trip is for business or pleasure, the address is a great choice. 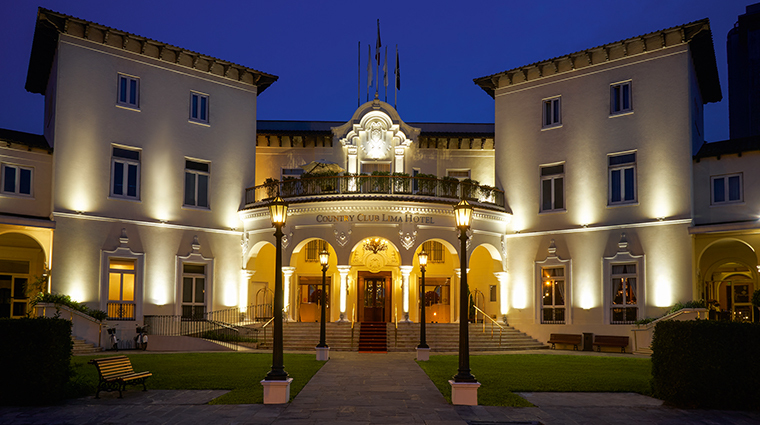 Country Club Lima is the only hotel in the city to be protected as a heritage building. The spherical gallery just off the main lobby features an original stained-glass ceiling made from more than 2,000 individual pieces. 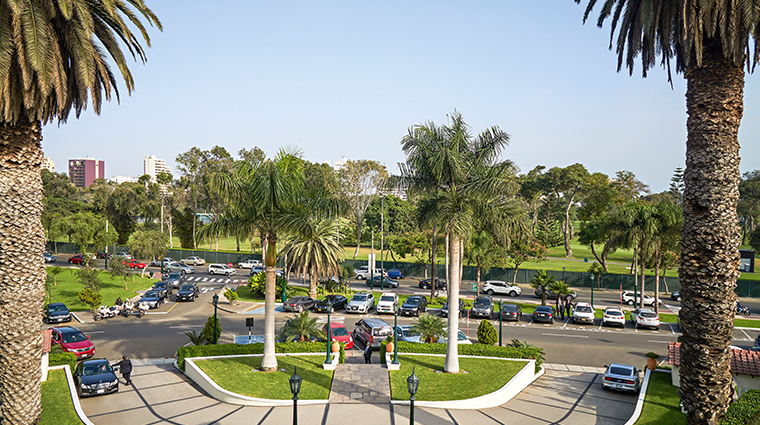 Country Club Lima Hotel provides 83 rooms, ranging from the generous 430-square-foot Master Guest Room, to the sprawling Presidential Suites, the largest of which is 1,615 square feet with a separate living and social area, spacious marble bathroom and a private terrace facing the golf course. The recently renovated rooms retain the traditional feel of the hotel with dark wooden furniture, but are brightened with contemporary finishings and all the modern conveniences you'd expect, like air conditioning, LCD TVs and audio systems. Each room in the hotel has at least one exquisite piece of artwork from the Pedro de Osma collection, adding an authentic historical touch. Perroquet Restaurant serves a seasonal menu of Peruvian and international cuisine in a formal setting. Often hailed as one of the top restaurants in Lima, Perroquet is the place to be seen. It’s not uncommon to spot visiting dignitaries and local celebrities dining there. The restaurant's new patio offers more relaxed alfresco dining, where you can take in views of the neighboring golf course and the sound of the parrots chattering in the trees. For a special dining experience, ask about the private dining rooms, which are perfect for entertaining clients or celebrating a family occasion. 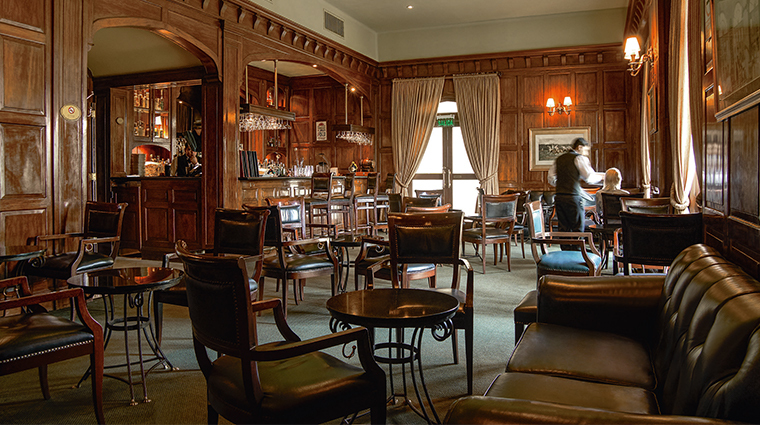 Relax with an expertly mixed cocktail at the English Bar. 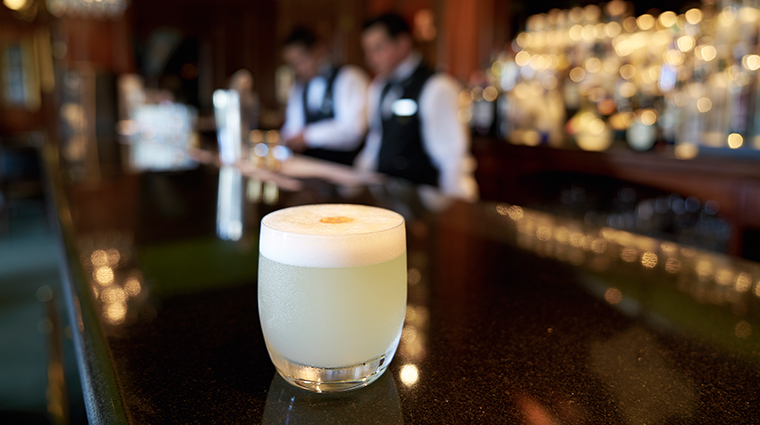 Small and inviting with dark wooden furniture, it resembles a sophisticated British pub, and is renowned for serving one of the best pisco sours in Lima.